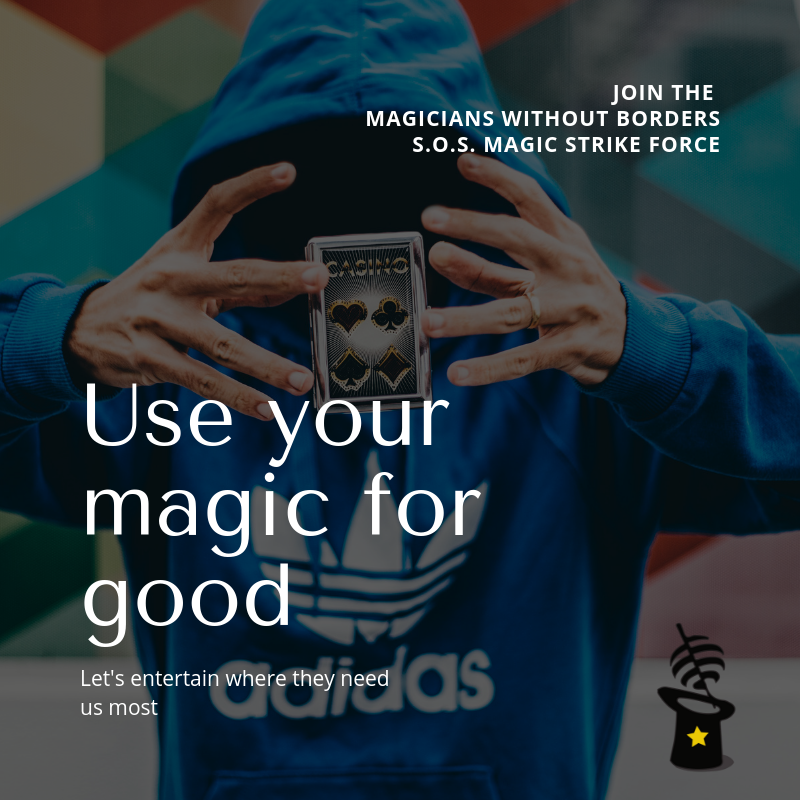 S.O.S Magic Strike Force is a magician Database that we will activate once we have been notified of an entertainment emergency, this can be something like people that have been evacuated because of a natural disaster (fire, earthquake, hurricanes, etc.) or because we will create a mission to bring magic to unlikely places in the states, like the US-Mexico border. In this first version, we are only accepting registries from the USA. Are you able to pay for your own transportation and accomodation?